For investors in cannabis stocks, this earnings season will be extra special. It will be the first quarter since Canada legalized adult-use marijuana and the results will allow investors to get at least some idea whether the legalization is living up to the hype that preceded it. 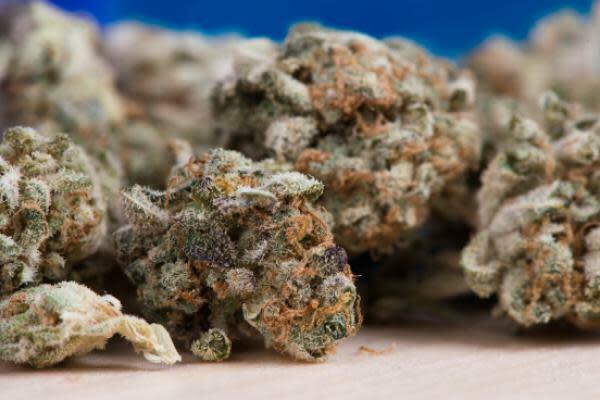 Four of the largest cannabis producers in Canada -- Aurora Cannabis Inc (NYSE: ACB), Canopy Growth Corp (NYSE: CGC), Cronos Group Inc (NASDAQ: CRON) and Tilray Inc (NASDAQ: TLRY) -- will be reporting results for the quarter ended Dec. 31 over the coming weeks. While it won't be a surprise that most of these companies will report substantial revenue growth, it's unlikely that investors will see any positive numbers on these companies' bottom lines. "In general, Canadian LPs, including Tilray and Cronos Group, haven't hinted at profitability," said Alan Brochstein, founder of New Cannabis Ventures and author of the 420 Investor. In the meantime, let's take a look at what's expected from the four aforementioned companies this earnings season. Aurora Cannabis is scheduled to report its results Feb. 11. The company already disappointed investors earlier this month when it released lower-than-expected revenue guidance for the quarter, so investors won't have very high expectations, although the company also said it expects to be cash flow positive in the second calendar quarter. Aurora's fiscal second-quarter guidance is between $50 million and $55 million, versus a consensus estimate of $67 million. For the previous quarter, Aurora reported a profit of $105.46 million, up 32 percent sequentially. However the company said the increase was largely attributed to its investments in other cannabis businesses. Next in line is Canopy Growth, which is scheduled to release its results for the fiscal third quarter Feb. 14. For the second quarter, Canopy's revenue amounted to $17.7 million and it had a net loss of 76 cents per share. "I think all eyes will be on Canopy Growth, as sales are expected to be about $90 million, which is a big jump from the prior quarter. The company has given no indication of when it expects to be cash flow positive, so it will be interesting to see if they follow Aurora's lead and share some perspective on this metric," Brochstein said. In December, Cronos received a major investment from the Altria Group Inc (NYSE: MO), which acquired a 45-percent stake in the company. Tilray should also file its fourth-quarter earnings report Feb. 22. Analysts expect the cannabis producer to report revenue of $12.83 million, versus the previous quarter's result of $10 million. The bottom-line consensus estimate is for a loss of 14 cents, narrower than the loss of 20 cents a quarter earlier. Also in December, Tilray's subsidiary High Park signed a partnership agreement with Anheuser Busch Inbev NV (NYSE: BUD)'s Labatt Breweries of Canada. The partnership focused on research of non-alcoholic beverages containing THC and CBD is likely to be one of the highlights of the financial report and the earnings call.